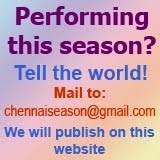 Chennai December Season 2018: Season 2019: Schedules done in March! 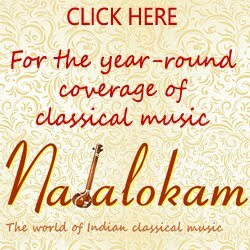 The scheduled of concerts for the senior slots and the morning veteran slots of The Music Academy Madras are already out. This is even before the announcement of 'Sangita Kalnidhi' award for the year. The groups of rasikas on Social Media are already analysing the schedule and coming up with the details of promotion to senior slots, who is in and who is out. The pressure is on with the sabhas to decide on their dates. Though the dates of the 'Academy' are constant through the years that the festival starts on Dec. 15 and concludes with the sadas on Jan, 1 every year, this early announcement will help people travelling to the city to catch their favourite artistes at the 'academy'.